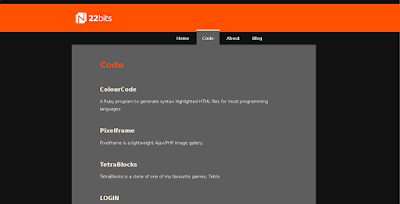 22bits has a new look. I haven't departed much from the original layout, the only difference is the color change. The new theme may be too bright for some, but it sure stands out! I really liked its simplicity and clean appearance. Here's a pic.